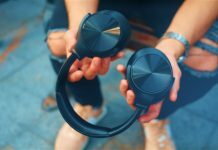 If you are looking for an affordable pair of comfortable, stylish headphones, the new RevoNext RX8's might just be your new best friend. 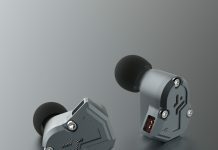 The RX8's are a pair of dual driver in-ear earphones with detachable cables and a semi-transparent sound chamber. Inside, the RX8 have one dynamic driver and one balanced armature, delivering a strong, balanced and complimentary high and low pitch. The professional shell design, naturally fit the ear canal and are not easy to fall off with their amazing over the ear hooking design which make them some of the most comfortable headphones I've ever used. The built-in mic lets you talk hands-free on your device. The cable use 3.5MM 0.78mm 2 pin Detachable Hifi Audio Cable making it capable of use with all types of phone headphone jacks. The bass on these headphones is very impressive for this price. No matter whether you are listening to the bass drop on a Snails track or the bass drums in an Adam Beyer track, the quality stays the same throughout with these earphones. The mids and lows are fine on these headphones, but it's definitely the bass that stuck out for me. Overall, for the price point these earphones are at, you really can't go wrong. With extreme comfort and an ergonomic design that keeps them in your ear, they are the perfect pair of earphones to throw in your gym bag for your workout sessions.